Trump’s government reorganization plan: really? Move most of USDA’s nutrition programs—SNAP, WIC, the Child and Adult Care Food Program, and the Farmers’ Market Nutrition Program—to HHS. Move FDA’s food safety oversight to USDA, putting USDA in charge of all food safety. Downsize the Public Health Service Commissioned Corps. Putting all food safety oversight in one agency is a good idea, but not if it’s USDA. USDA’s principal purpose to to support agribusiness. Holding agribusiness responsible for food safety puts USDA in conflict of interest. Moving SNAP and WIC into HHS (or whatever its new name will be) would make sense if HHS weren’t already overwhelmed by everything else it has to deal with (more than a trillion dollars in spending). The proposal still leaves school breakfasts and lunches and commodity programs in USDA, meaning that food assistance programs will still be split between USDA and HHS. Downsizing the Commissioned Corps doesn’t make much sense either. Public health needs all the health it can get. Whatever happens with this is unlikely to happen quickly. USDA will not be happy about losing SNAP’s $80 billion a year or WIC’s $6 billion budget. Many other agencies are also affected by these proposals. My prediction: Congress will have a lot of trouble coming to agreement on these ideas. Maybe this is just another attempt to distract us from more pressing matters. Congressional committees are unlikely to support any reorganization that would reduce their power. Industry associations are unlikely to support a reorganization that would disrupt their influence with existing agencies. The two agencies are different in jurisdiction, powers and expertise; a merger would require a complete overhaul of federal food safety laws and regulations, a task of extraordinary legal and political complexity. A merger might create new forms of fragmentation. Reorganization is expensive and will take years. The payoff is unclear. Pass and implement rules governing FDA’s oversight of pretty much all foods except meat and poultry (this is now done). Fix USDA’s food safety rules governing meat and poultry so they are consistent with FDA’s (in the talking stage, hopefully). Merge the food safety responsibilities in one agency. These proposals, alas, ignore step #2. Good luck with that. The FDA did something quite unusual. 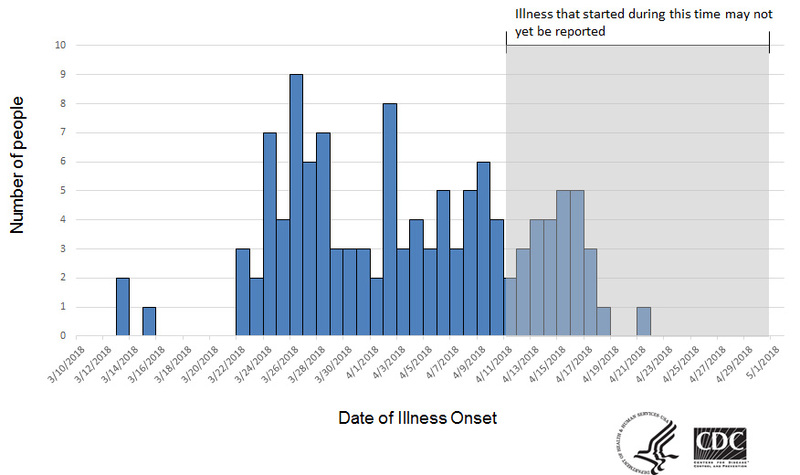 It issued an apparently frank description of where it is in investigating the Romaine lettuce E. coli outbreak that has sickened 197 people, put 89 in the hospital, and killed five—so far. It published a chart summarizing what the agency has learned about the various distribution channels along the way to the contaminated lettuce that made people sick. As can be seen in the diagram, in the current outbreak, and based on the information we have to date, there are still no obvious points of convergence along the supply chain…These pathways lead back to different farms, sometimes many farms, where possibly contaminated lettuce could have been harvested during the timeframe of interest. The only point of commonality in our traceback efforts to date is that all of the farms are located in the Yuma growing region…What does this traceback diagram tell us? It says that there isn’t a simple or obvious explanation for how this outbreak occurred within the supply chain…The contamination likely happened at, or close to, the Yuma growing area. Our task now is to investigate what happened. If you knew the names of places selling contaminated lettuce, wouldn’t you have sense enough not to eat in them? Here is Marler’s video of one of the children sickened in this outbreak. Heartbreaking. Should organic eggs be labeled “healthy?” Their producers think so. You have to have some sympathy for egg producers. Egg consumption has been declining for years. Egg producers blame the decline on cholesterol concerns; eggs are by far the largest dietary source of cholesterol. FDA Commissioner Scott Gottlieb said in a speech last month that the FDA would be updating the definition. But too late for that. I don’t envy the FDA’s challenge here. The petition is based on the dietary guidelines, but what the guidelines say about dietary cholesterol, and therefore eggs, is extremely confusing. As I explained in a previous post, the guidelines no longer recommend a cap on dietary cholesterol of 300 mg/day (the equivalent of 1.5 eggs), but do say that people should eat as little cholesterol as possible. On May 4, the FDA gave food companies a gift when it announced a 1.5-year extension of compliance dates for the Nutrition Facts label. We are taking this action because, after careful consideration, we have determined that additional time would help ensure that all manufacturers covered by the final rules have guidance from FDA to address, for example, certain technical questions we received after publication of the final rules, and that they have sufficient time to complete and print updated Nutrition Facts labels for their products before they are expected to be in compliance with the final rules. The reality is that the labels are already on more than 29,000 products on grocery shelves, and more appear weekly. So today’s announcement should be a call to action for companies to provide consumers the information they want now, rather than waiting for the legal deadline. I’ve been following the E. coli 0157:H7 outbreak caused by eating romaine lettuce grown in Yuma, Arizona. The FDA has identified one farm [Harrison Farms of Yuma, Arizona] as the source of the whole-head romaine lettuce that sickened several people at a correctional facility in Alaska. However, the agency has not determined where in the supply chain the contamination occurred…All of the lettuce in question from this farm was harvested during March 5-16 and is past its 21-day shelf life. Because the growing season in the Yuma region is at its end, the farm is not growing any lettuce at this time. 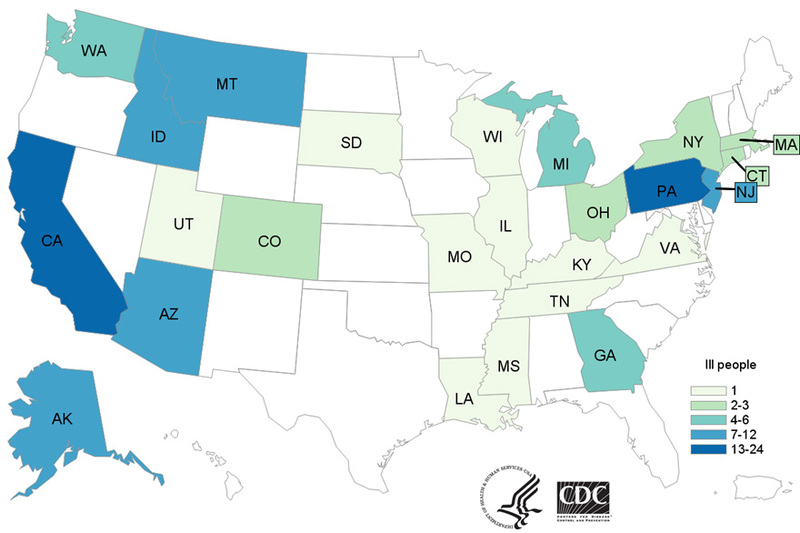 Most of the illnesses in this outbreak are not linked to romaine lettuce from this farm, and are associated with chopped romaine lettuce. The agency is investigating dozens of other fields as potential sources of the chopped romaine lettuce and will share information as it becomes available. It takes two to three weeks from the time a case is first reported until it is confirmed. There have been about six dozen outbreaks traced to leafy greens since 1995, many unsolved. Because CDC and FDA can’t figure out the source, they have not issued a recall. The lack of traceability is a heads up for the produce industry. Do not eat or buy romaine lettuce unless you are sure it was not grown anywhere near Yuma. Do not eat or buy romaine lettuce if you cannot tell where it was grown. Do not eat salad mixes unless you are sure it is free of romaine lettuce. This applies to romaine lettuce in any form: heads, hearts, chopped, baby, organic, in salads or salad mixes. But Consumer Reports says to avoid romaine lettuce entirely. Seems like good advice until this one gets figured out. Remember menu labeling? In 2010, Congress said fast food places should reveal calories on their menus (New York City required this in 2008). Food companies fought the measure and got delays, but the eight-year delay is up. Menu labeling goes national today. In a blog post, FDA Commissioner Scott Gottlieb explained FDA thinking about such matters: the agency is pro-consumer and pro-market. Information about how healthy our food is gives us the chance to make better choices about our diets. This same information also inspires competition among producers to formulate food in ways that make it more healthful…. food producers should be able to compete on the ability to develop foods that are healthier, and make reliable, science-based claims about these attributes to consumers. So at FDA, we’re reforming our policies to make it more efficient to develop these claims. This clarity may encourage more manufacturers to invest in making foods healthier. Uh oh. More health claims (these, I insist, are about marketing, not health). So that’s the trade-off; we get menu labeling at the price of more and inevitably misleading health claims. Gottlieb defended the measure on Fox News. If you have information on menu labels, the average consumer will reduce their caloric intake to 30-50 calories a day,” Gottlieb said during the interview. “That turns out to be about 3 to 5 pounds per year that you can lose just by having better information. This is correct in theory, if you assume that one pound of fat contains about 3500 calories (this estimate comes from multiplying 454 grams per pound by 9 calories per gram for fat and rounding off). Then it will take 3500 divided by 50 = 70 days to lose one pound. In practice, such small calorie deficits are hardly measurable. 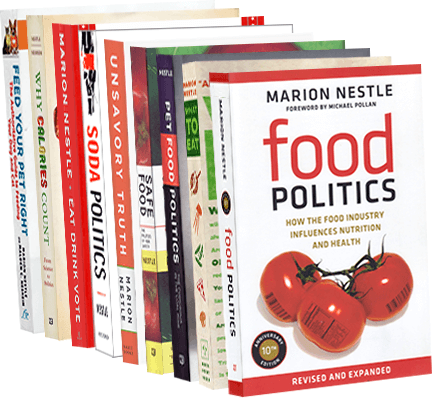 Most estimates suggest that losing weight requires a deficit of 300 to 500 calories a day (My co-author and I discuss all this in our book, Why Calories Count: From Science to Politics). For an quick summary of the studies of menu labeling, JAMA has a useful review. It’s great that Commissioner Gottlieb defended menu labeling on Fox News. Looking at the calories on menu items is fun! And it most definitely works for me. If I see a muffin labeling at 700 calories, I share it with friends.